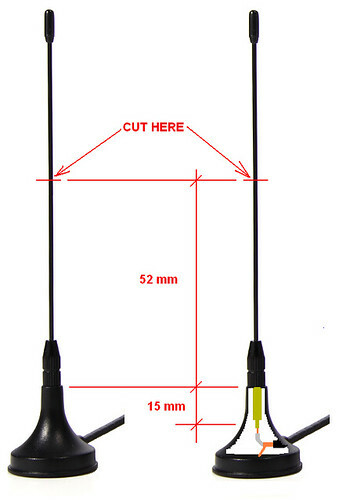 When DVB-T Dongle is purchased, a whip antenna is supplied with it. Every beginner uses this whip in his starter setup. Whip is too long for 1090 MHz. Cut it to 67mm. Magnetic base provides an insufficient ground-plane. 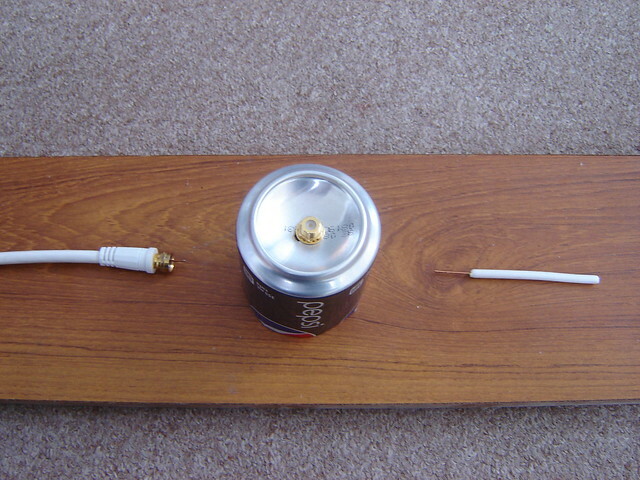 Enlarge ground-plane by placing the whip over a Metallic Can/Box/Plate. 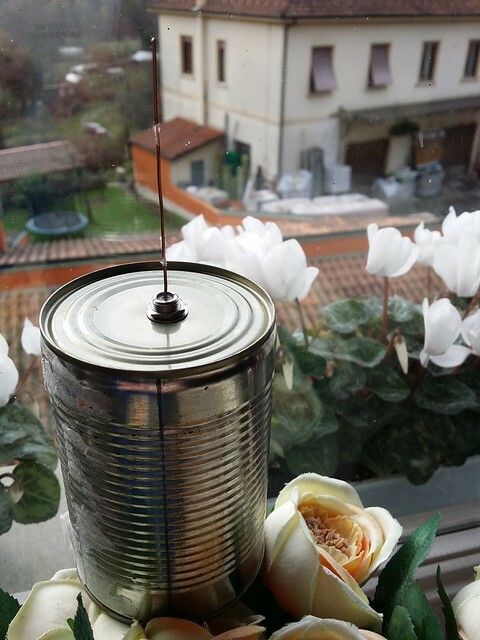 An added advantage of placing whip over an iron/steel can is that whip's magnetic base will cling to the can and keep the whip stable & upright. Signal is weak indoors. 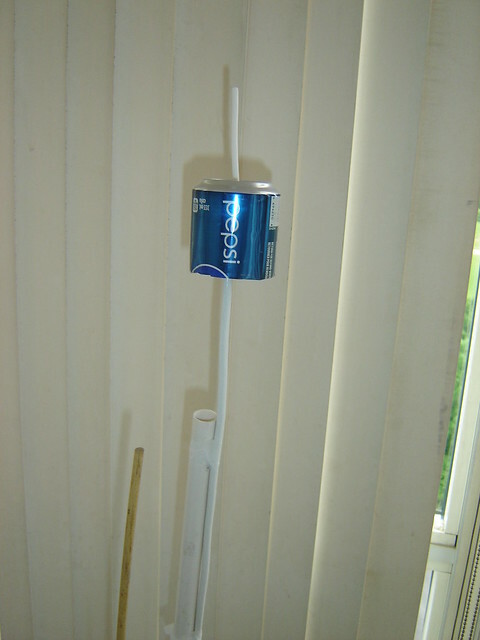 Place whip near a window or in attic to get maximum signal. Once your setup is up and running, you will be happy, but soon after you will want to increase your range. 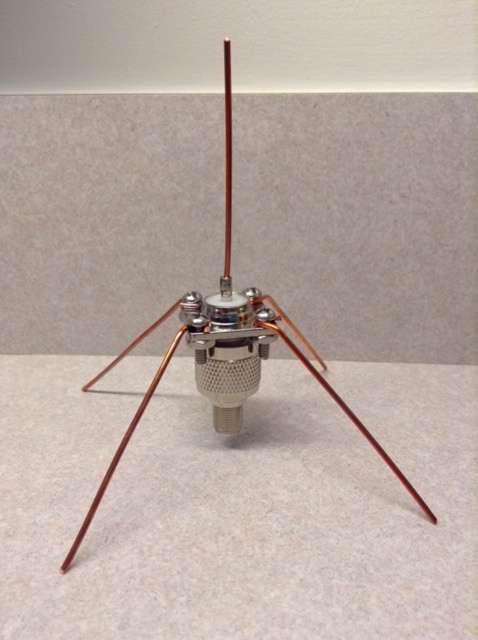 You can then try some easy and sure antenna, like Spider & Cantena. In next three posts below, there are "how to make" instructions for Spider, Cantenna & Handy Spider. 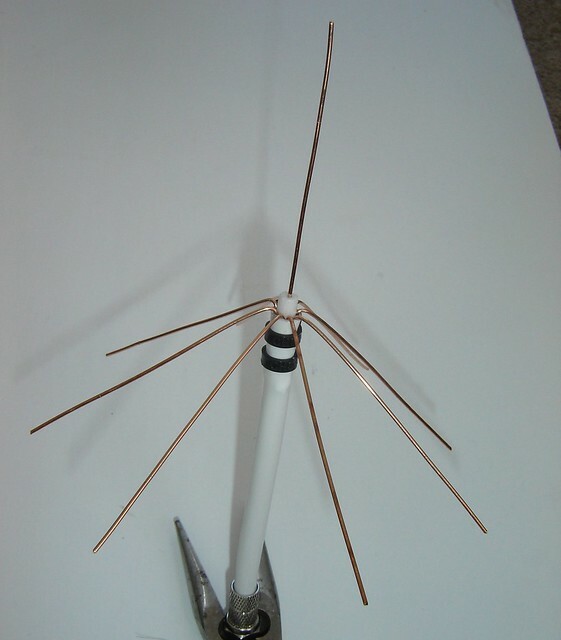 Next step may be to venture through alluring collinear antennas Like Coaxial Collinear (Coco), and Wire Collinears with coils and/or stubs. 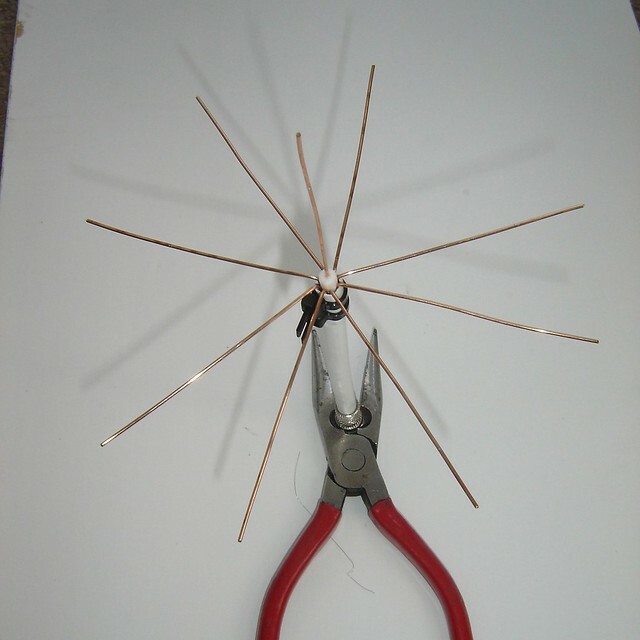 These antennas are very alluring, as these are easy to make. 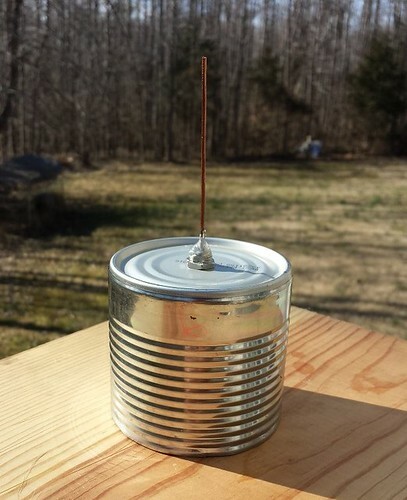 All postings for these on internet & youtube claim "high gain excellent antenna". 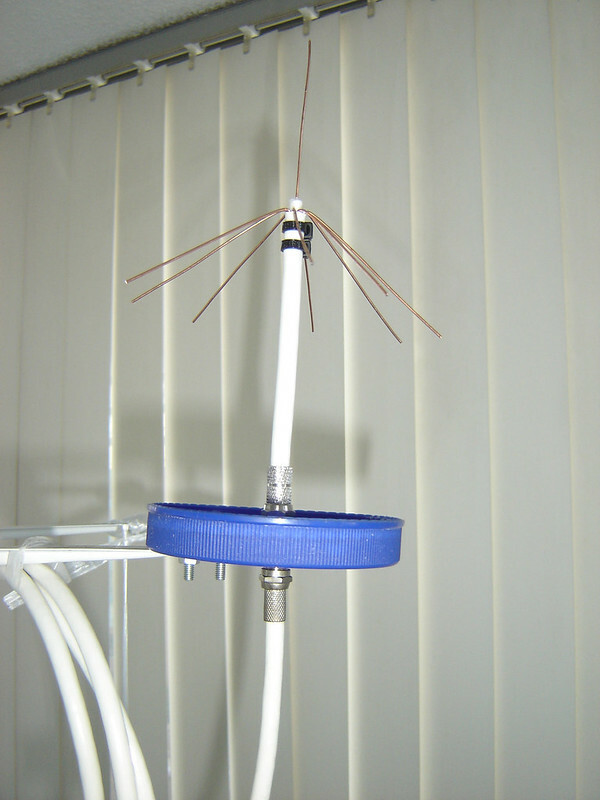 The problem shows up when these antennas are put to service, and give poor performance. 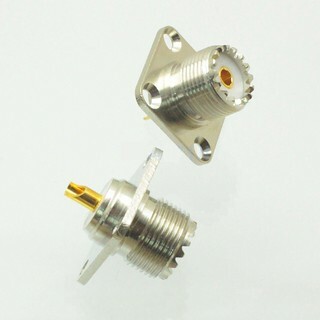 Collinears are easy to make, but very hard to get right, and except for few lucky ones, most DIY Collinear makers end up with a poor performing antenna. Problem (1): It has a very short lead. 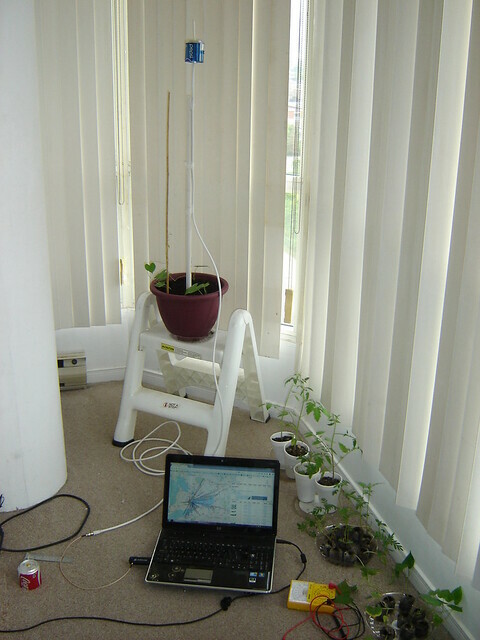 Due to this, in most cases the antenna cannot be placed at an optimum location. 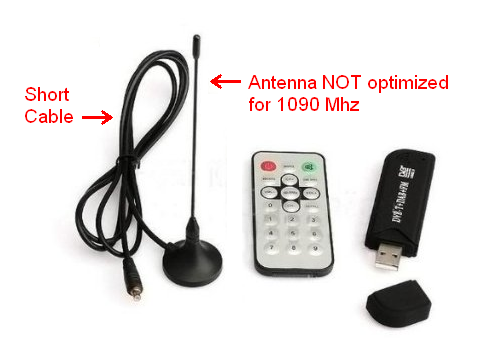 Problem (2): The stock antenna is not optimized for 1090 Mhz. 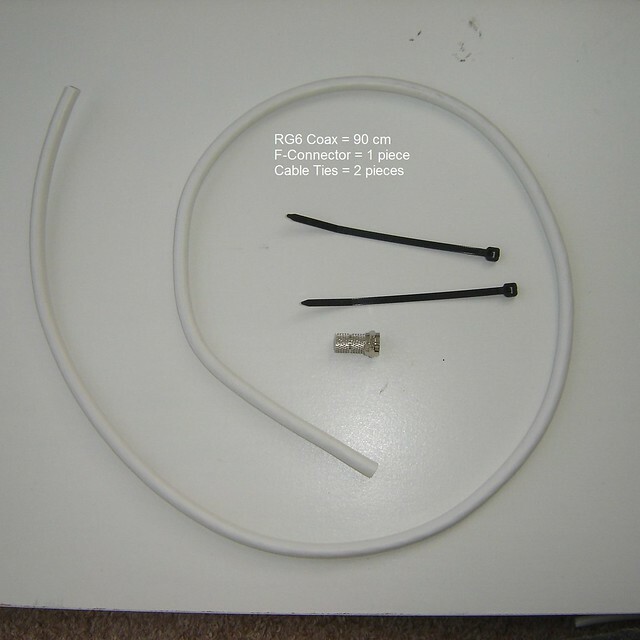 The short cable length can be overcome by connecting a MCX to F pigtail to the DVB-T USB Dongle, and connecting to the pigtail, the required length of commonly available RG6 cable with a DIY antenna at other end of RG6 cable. 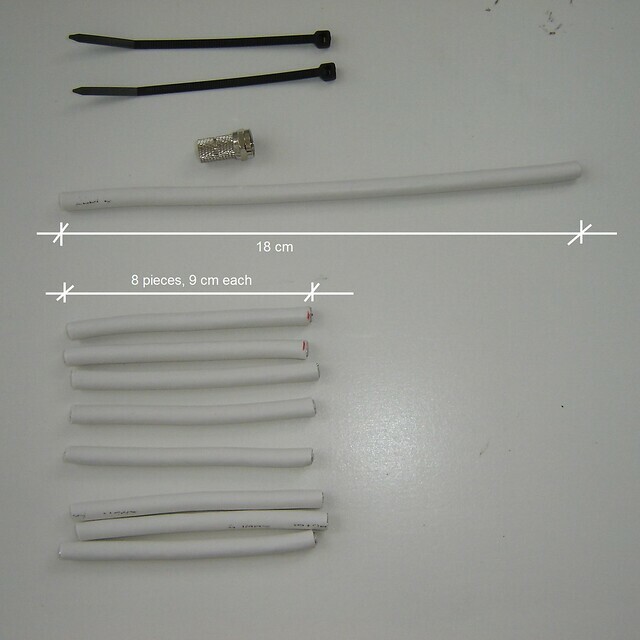 (a) For RG6 coax lengths in excess of 5m/15ft, coax attenuation will be high, and an amplifier may become necessary. 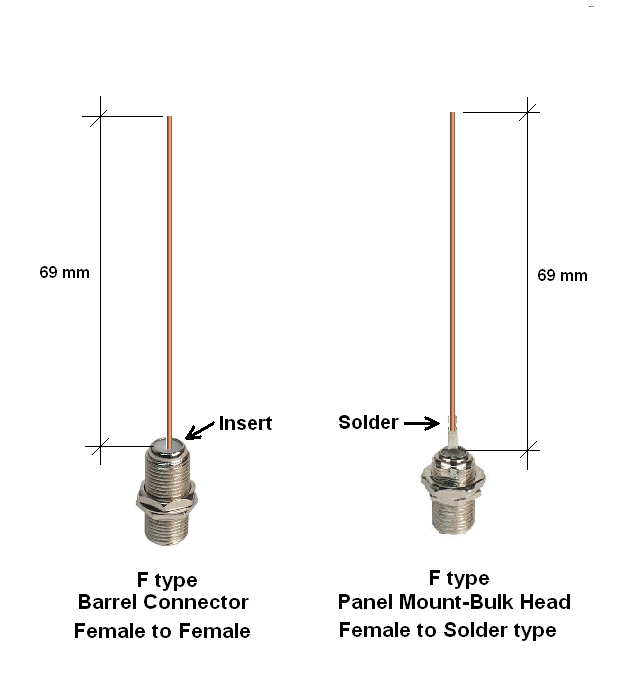 (b) Even with short lengths of Coax, use of amplifier increases plane count & range. 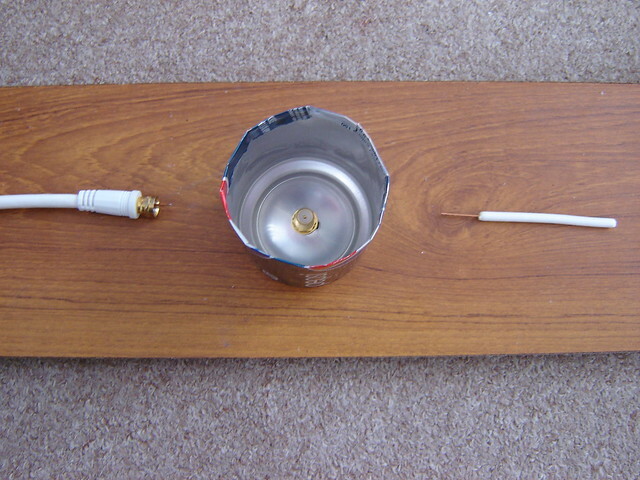 The non optimized antenna can be replaced by a DIY antenna which has a ¼ wavelength vertical whip connected to core of coax cable, and a ground plane connected to shield of coax. 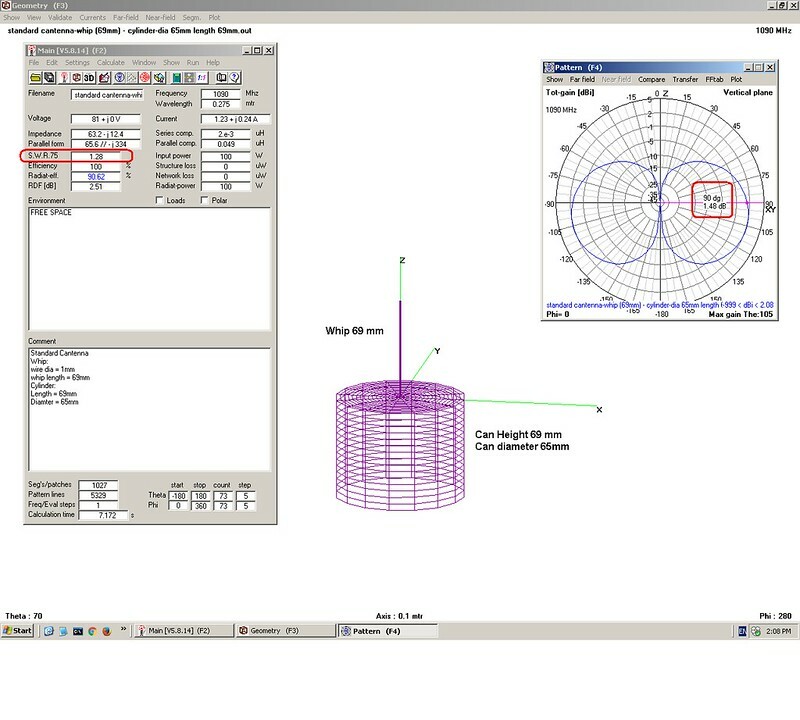 The ground plane can be formed by a disc, a number of horizontal radials, a number of slanting radials, or a food/drink can. 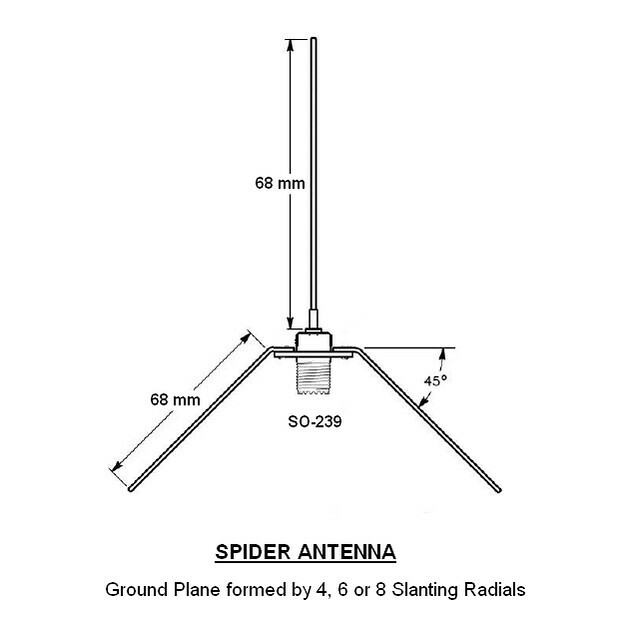 Below are 3 different easy antennas for beginners: Spider, Cantenna, and Handy Spider. 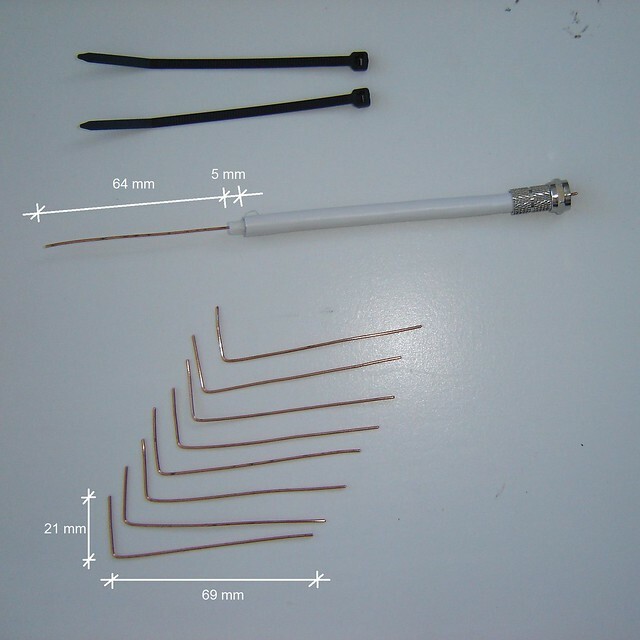 These all have a ¼ wavelength vertical whip connected to core of Coax cable, but use different methods of providing ground plane connected to shield of coax. 3. 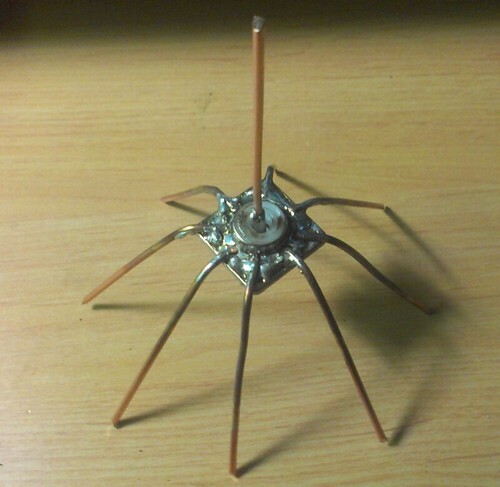 Copper wire pieces 10 cm long - 5 pieces for 4 Leg Spider, 9 pieces for 8 Leg Spider. Please scroll down to see photos & sketches giving construction details. 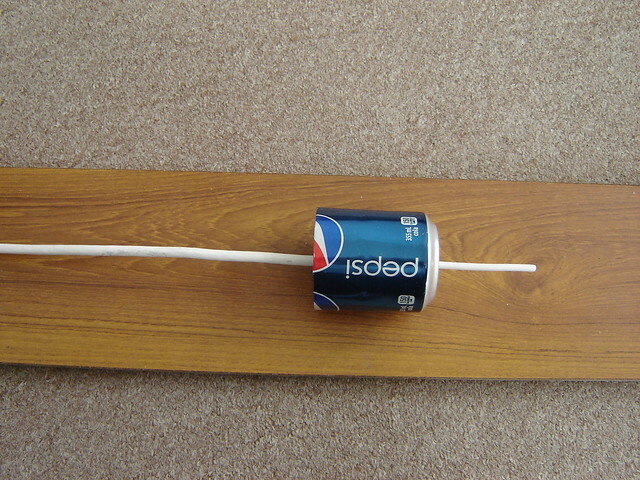 The whip is core wire of coax cable. 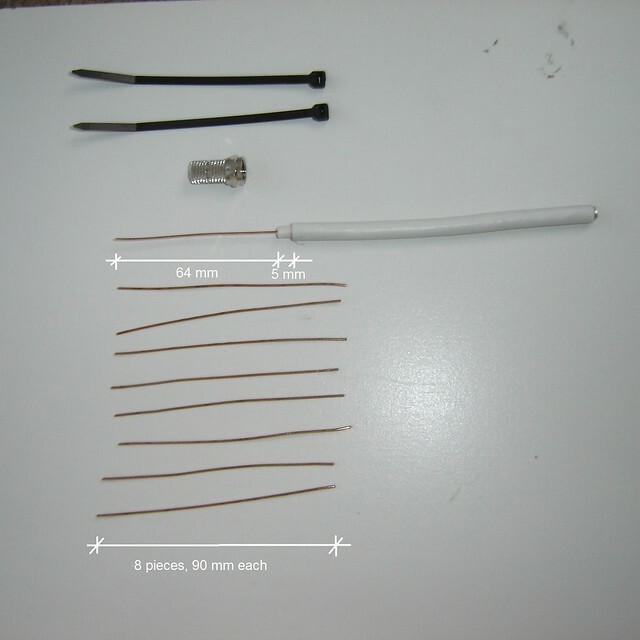 It can be bare copper wire OR copper wire + core insulation. Shield (braid+foil) MUST be removed from the whip. 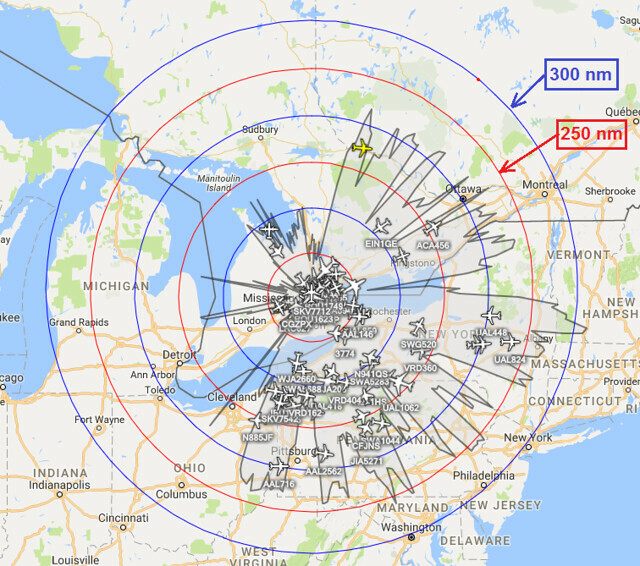 The range rings are 50 nm apart, the outermost blue ring is 300 nm from the receiver. Sketch 2 of 2: Whip Measurements. This detail is for insulated whip. 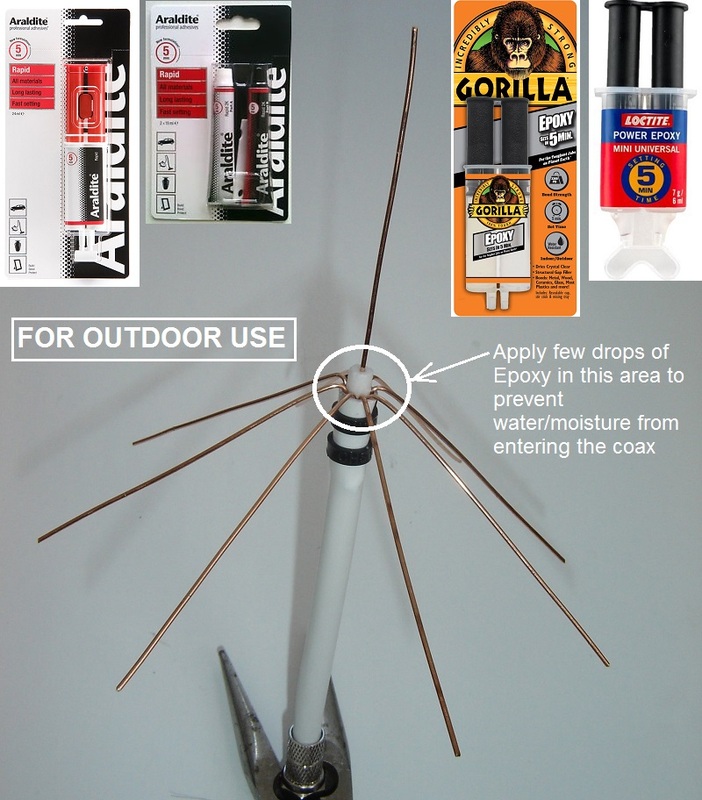 1) Apply a rapid setting (5 minutes) sealant like 2-part epoxy, or silicone, or hot melt glue, or similar at the point where radials enter the outer jacket of coax. 2) After installation. 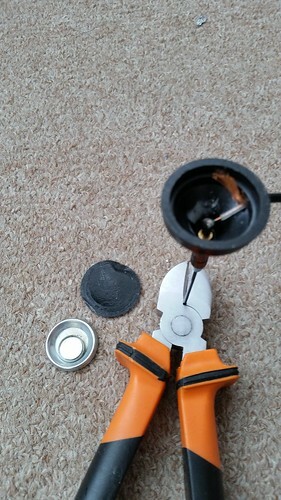 wrap the F-connector in tape to prevent moisture ingress. 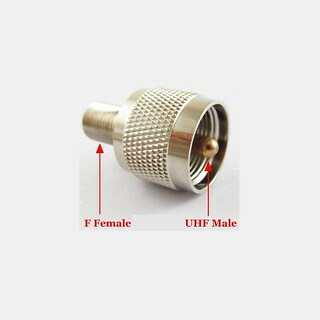 You may also use outdoor type F connector which are water resistant. Thanks! 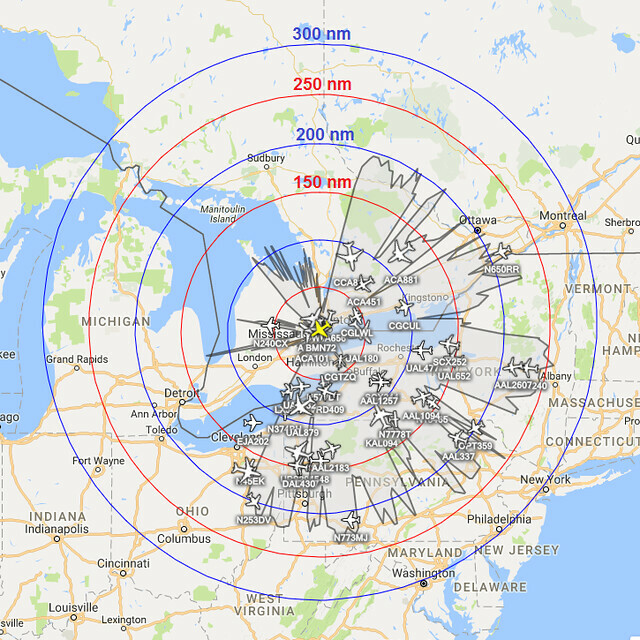 Gonna try some of those on the VHF and UHF ham bands!! 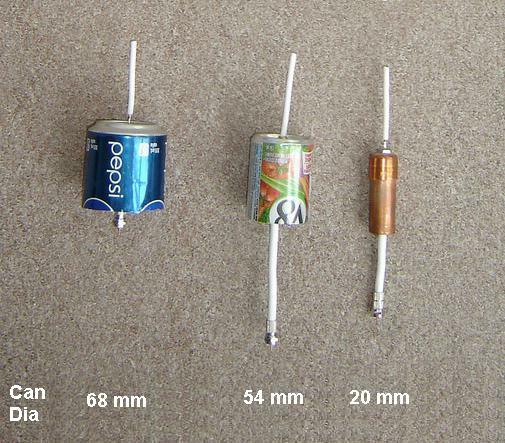 I have tried 4 sizes of cans shown below (100 mm dia is not included in photo, but I tried it also). 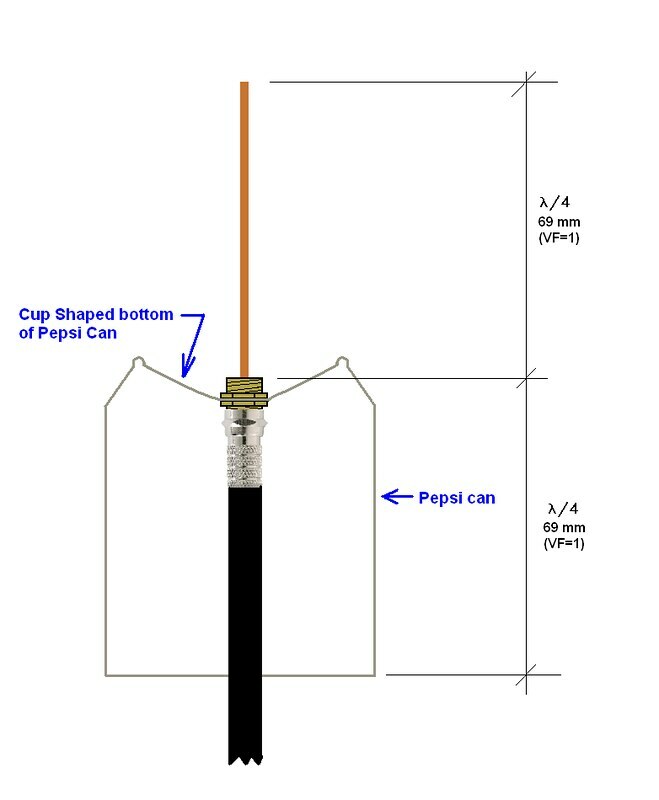 The best performer is the standard 12 oz / 355 mL drik can with dia 66 mm, almost 1/4 wavelength. 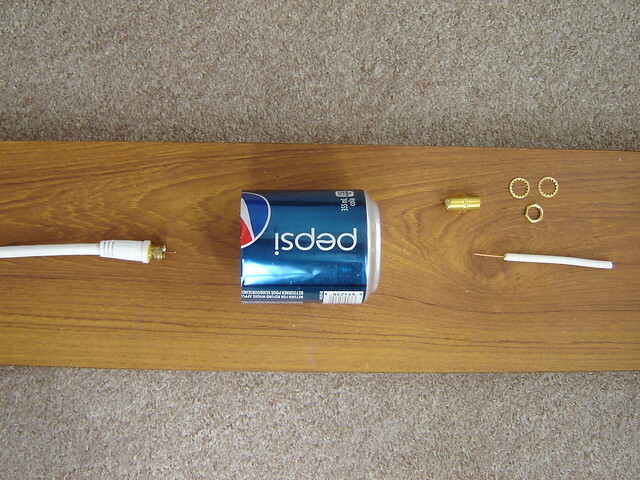 The worst performer was 20 mm dia can (actually 3/4 inch copper water pipe + it's end cap). The can's circular bottom's upper surface acts as ground plane, while cylindrical wall and inner surface of circular bottom make the 1/4 wavelength decoupling sleeve. 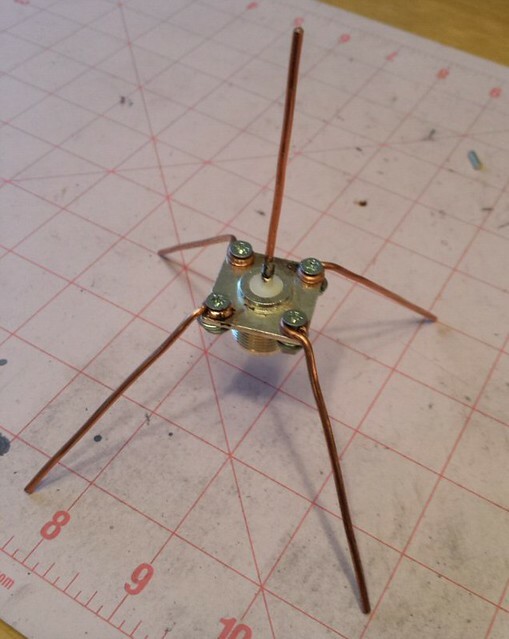 I think the first antenna shown should be measured from the base of the magnet. You are partly right. Not exactly from base of magnet, but slightly above it, from the point where coax core is sodered to the whip. This point is 15 mm below the screw. Please see attached photo and sketch.